Choosing your next car to buy or lease is a big decision. With so many choices on the market today it can be difficult to determine which make and model best suites your lifestyle and your budget. Experts agree that taking the time to do some research and planning before heading to the dealership will help you find the perfect car. Do you drive on wet, icy or muddy roads? How many passengers will you need to transport? What technology features are important to you: navigation, smartphone integration, etc.? Do you need a large or small cargo capacity? Are you going to be using children’s car seats? Do you plan on towing recreational vehicles or trailers? How much space is in your garage or parking space? Once you have assessed your needs and set your budget, it is time to start exploring makes and models that are a good fit. Automotive authority sites like http://www.motortrend.com/ and http://www.edmunds.com/ offer non-partial reviews and recommendations for all new models. These sites as well as http://www.consumerreports.org/cro/cars/index.htm can give you a clear picture of professional and public opinion on any new car. As you conduct this research it is a good idea to compare vehicles within the same class. Even if you have your heart set on a specific model, it is a good idea to see how it stacks up to the competition before you take a test drive. When it is time for your test-drive, call or email the internet department at our Toyota Dealership in Rochester to set up an appointment. Pre-set test-drive appointments save time and guarantee that the model you are interested in will be available when you arrive. During the test-drive we can answer any questions about special features, driver assist technology the sound or navigation system and more. The most important thing to remember when buying or leasing a new car is that you are in control. 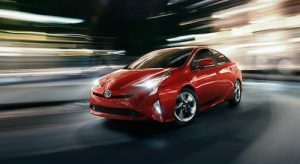 Car dealerships like Rochester Toyota are here to help you find and finance a car that you will love to drive for years to come. It is our pleasure to answer your questions and help you conduct the research needed to find your perfect car.